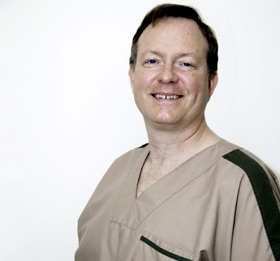 Ultimately, after all his years in practice, Dr. Matthew Mulcahy is still most passionate about providing a comfortable and satisfactory dental experience for his patients. He received his undergraduate degree from St. Louis University. Upon earning his Doctorate of Dental Medicine at Washington University, Dr. Mulcahy completed a general practice residency at the Jewish Hospital of St. Louis. Dr. Mulcahy practiced dentistry in Vermont for 15 years before relocating to Nantucket full-time in 2006. Through his affiliations with the American Dental Association and the Cape Cod Dental Society, Dr. Mulcahy continues his education on a regular basis throughout the year. This keeps him up to date on the latest advance in dental technologies, and stimulated and familiar with the latest advances in dentistry. Dr. Mulcahy enjoys the Nantucket community and serves as vice-chair of the town finance committee. In his spare time he enjoys gardening, photography, and spending time with his family, including his daughter, Grace, and his three cats.